Your email and postal mail box usually gets lots of credit-card offers from national credit card issuers. How do you know if the time is right for a national credit card or you will be approved for credit if you apply? Here is some important information from credit card cops credit watchdog web-site which can help you determine if you are ready for plastic, what to look for when you select a company to do business with, and how to use your credit card in a responsible manner. Please note that this Credit Special Report was designed primarily for U.S. and Canada residents. Many of the general principles discussed here are also relevant in other nations. If you're at least 18 years old and have a regular source of income, you're well on your way to qualifying for a credit card. But despite the invitations from credit card issuers, you'll still have to demonstrate that you're a good risk before they grant you credit. The proof is in your credit record. If you've financed a car loan or other credit purchase, you probably have a record at a credit agency (CRA) (The most common type of CRA is the credit bureau). This credit history shows how responsible you've been in paying your bills and helps the credit card issuer decide how much credit to extend. Anyone who takes action against you in response to a report supplied by a CRA  such as denying your application for credit  must give you the name, address and telephone number of the credit bureau that provided the report. Suppose you haven't financed a car loan, a computer, or some other major purchase. How do you begin to establish credit? First, consider applying for a credit card issued by a local store and use it responsibly. Ask they report to a credit bureau. If they do  and if you pay your bills on time  you'll establish a good credit history. Second, consider a secured credit card. It requires that you open and maintain a bank account or other asset account at a financial institution as security for your line of credit. Your credit line will be a percentage of your deposit, typically from 50 to 100 percent. Application and processing fees are not uncommon for secured credit cards. In addition, secured credit cards usually carry higher interest rates than traditional non-secured cards. Third, consider asking someone with an established credit history -- perhaps a relative -- to co-sign the account if you don't qualify for credit on your own. The cosigner promises to pay your debts if you don't. You'll want to repay any debt promptly so you can build a credit history and apply for credit in the future on your own. A positive credit history is an asset, not only when you apply for a credit card, but also when you apply for a job or insurance, or when you want to finance a car or a home. If you're turned down for a credit card, ask why. It may be that you haven't been at your current address or job long enough. Or that your income doesn't meet the issuer's criteria. Different credit card companies have different standards. But if you are turned down by several companies, it may indicate that you are not ready for a credit card. If you've been denied credit because of information supplied by a credit bureau, federal credit law requires the creditor to give you the name, address and telephone number of the bureau that supplied the information. If you contact that bureau within 60 days of receiving the denial, you are entitled to a free copy of your report. If your file contains accurate negative information, only time and good credit habits will restore your credit-worthiness. If you find an error in your report, you are entitled to have it investigated by the credit bureau and corrected at no charge. You should dispute any inaccuracy in your report with the credit bureau and also with the company that furnished the information to the credit bureau. This may take some time, so you may try applying for a credit card with no credit check, if you need a credit card fast while waiting for credit repair! Annual percentage rate (APR). The APR is a measure of the cost of credit, expressed as a yearly interest rate. Check out the "periodic rate," too. That's the rate the issuer applies to your outstanding balance to figure the finance charge for each billing period. For example, if you have an outstanding balance of $2,000, with 18.5 percent interest and a low minimum monthly payment, it would take over 11 years to pay off the debt and cost you an additional $1,934 just for interest, which almost doubles the total cost of your original purchase. Grace period. This is the time between the date of a purchase and the date interest starts being charged on that purchase. If your card has a standard grace period you have an opportunity to avoid finance charges by paying your current balance in full. Some issuers allow a grace period for new purchases even if you do not pay your balance in full every month. If there is no grace period, the issuer imposes a finance charge from the date you use your card or from the date each credit transaction is posted to your account. Annual fees. Many credit card issuers charge an annual fee for granting you credit, typically $15 to $55. Some issuers charge no annual fee. Transaction fees and other charges. Some issuers charge a fee if you use credit cards to get a cash advance, if you fail to make a payment on time, or if you exceed your credit limit. 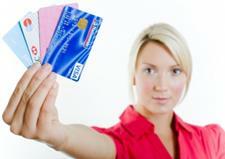 Some may charge a flat fee every month whether you use the credit card or not. Customer service. Many major credit card issuers have 24-hour, toll-free telephone numbers. Other benefits. Issuers may offer additional benefits, some with a cost, such as: insurance, credit card protection, discounts, rebates, and special merchandise offers. Revolving agreement. A consumer pays in full each month or chooses to make a partial payment based on the outstanding balance. Department stores, gas and oil companies, and banks typically issue credit cards based on a revolving credit plan. Charge agreement. A consumer promises to pay the full balance each month, so the borrower does not have to pay interest charges. Charge cards, not credit cards, and charge accounts with local businesses often require repayment on this basis. Installment agreement. A consumer signs a contract to repay a fixed amount of credit in equal payments over a specific period of time. Automobiles, furniture and major appliances often are financed this way. Personal loans usually are paid back in installments, too. Once you get a card, sign it immediately so no one else can use it. Note that the accompanying papers have important information, such as customer service telephone numbers, in case your card is lost or stolen. File this information in a safe place. Call the card issuer to activate the card. Many issuers require this step to minimize fraud and to give you additional information. Keep your account information to yourself. Never give out your credit card number or expiration date over the phone unless you know who you're dealing with. A criminal can use this information to steal money from you, or even assume your credit identity. Keep copies of sales slips and compare charges when your bill arrives. Promptly report in writing any questionable charges to the card issuer. Don't lend your card to anyone, even to a friend. Your credit privilege and history are too precious to risk. While a credit card makes it easy to buy something now and pay for it later, you can lose track of how much you've spent by the time the bill arrives if you're not careful. And if you don't pay your bill in full, you'll probably have to pay finance charges on the unpaid balance. What's more, if you continue to charge while carrying an outstanding balance, your debt can snowball. Before you know it, your minimum payment is only covering the interest. If you start having trouble repaying the debt, you could tarnish your credit report. If your credit report is negative you may still try to obtain a credit card with no credit check required. A damaged credit report can have a large impact on your life. A negative report can make it more difficult to finance a car or home, get insurance, and even get a job. Federal law offers the following protections when you use credit cards. Billing errors on your credit card bill. You must notify the card issuer in writing within 60-days after the first bill containing the error was mailed to you. Check to be sure all debits and credits are recognized as valid and authorized charges by you, as the card-holder. In your creditcard dispute letter, include: your name; account number; the type, date and amount of the error; and the reason why you believe the bill contains an error. In return, the card issuer must investigate the problem and either correct the error or explain to you why the bill is correct. This must occur within two billing cycles and not later than 90-days after the issuer receives your letter. You do not have to pay the amount in dispute during the investigation. Credit Card Loss or theft. If you lose your credit or charge cards, or if you realize they've been lost or stolen, immediately call the issuer(s). By law, once you report the loss or theft, you have no further responsibility for unauthorized charges. In any event, your maximum liability under federal law is no more than $50 per credit card. The US Federal Trade Commission (FTC). works for the consumer  providing the information needed to spot and avoid fraud and deception in the financial marketplace. Access the more than 150 consumer publications offered by the FTC online at www.ftc.org. Or get a free copy of Best Sellers, a list of FTC publications, by calling 1-877-FTC-HELP, or by writing to Consumer Response Center, Federal Trade Commission, 600 Pennsylvania Ave NW, Washington, DC 20580. Published by Credit Card Cops and American Express in cooperation with the Consumer Information Center.